Bringing us more optimism….Elizabeth Stark occupies the third slot at DOKU:TECH 2015. Known for co-organizing the protest movement which helped shut down the internet in protest against SOPA and PIPAElizabeth taught previously at Stanford and Yale and started the Ideas for a Better Internet Program at Stanford to engage students in working on projects to better the future of the net. Elizabeth kicked off her talk with the statement – to talk about the future we have to talk about the past. Each stage of technological development raised new issues related to privacy, identity, control, de/centralization. Elizabeth moved from the past to the current state of digital currency and Bitcoin. What problems does this technology solve? Prevention of identity theft through technologies such as Onename. 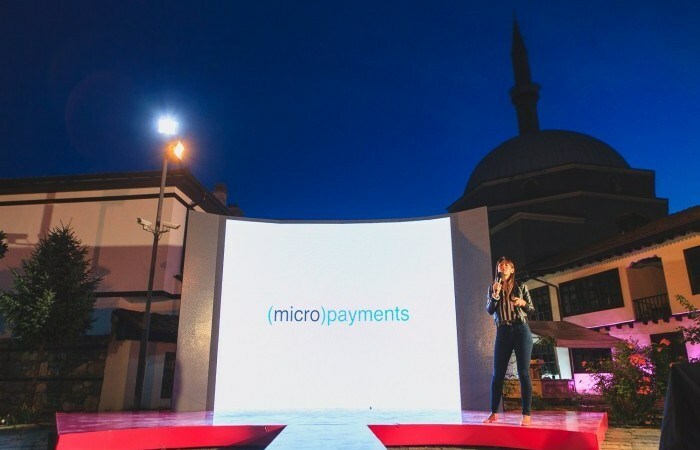 Her vision of the future envisions a revolution in transactions, payments and currency informed by many of the issues from the earlier phases – privacy, identity, control and centralization.